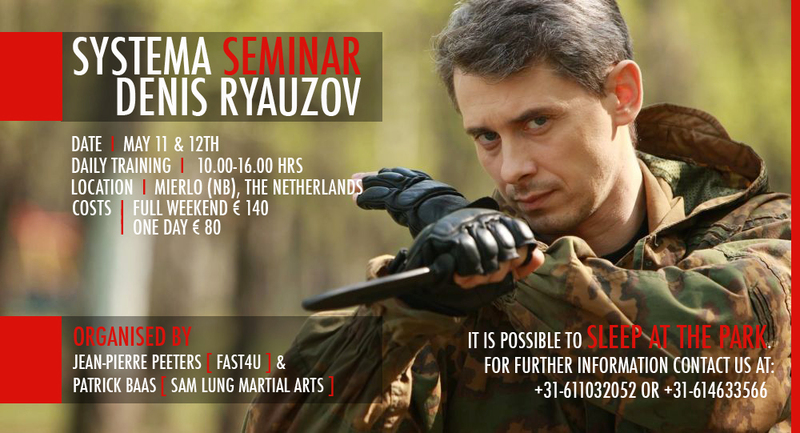 The seminar will be held in Mierlo (NB) The Netherlands. and 80 euro´s for one day. Also it is possible to sleep at the training site wich has a lot of bungalo´s. 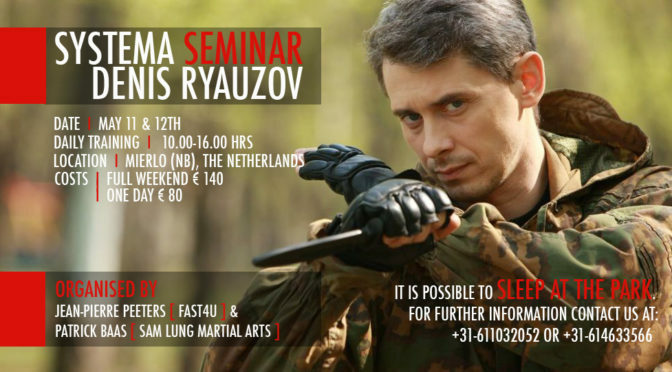 The organizers (Fast4You Defence _ Sam Lung Martial Arts) have a reservation on many bungalo´s wich can contain a number of participants. The price for staying at one of the bungalo´s will follow soon. Denis Ryauzov is a retired Airbourne officer from the Russian army. Furthermore he is also an instructor of combat training of the special personal protection, rapid response teams, collection. Ctazh activities instructor for 15 years. Chief instructor holding the security “wolf” (Moscow) Chief Safety Instructor Academy «SSC» (Switzerland) Teacher 1st qualifying category. In 2012, an international seminar held in Novi Sad (Serbia) for representatives from different countries (Italy, Slovakia, England, Serbia, Hungary, etc.). In various departments conducted the following areas: – The knife fight. – Dogfight. – Tactical shooting. – Training groups bodyguards. – Tactical special training rapid response teams, collection, maintenance. 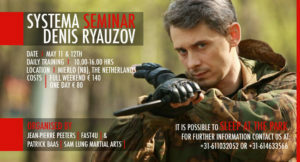 Author of publications magazine “World Security”, “Martial Arts Planet”, “Martial Arts”. Author techniques of complex preparation of fighters RRG (responders) collection.